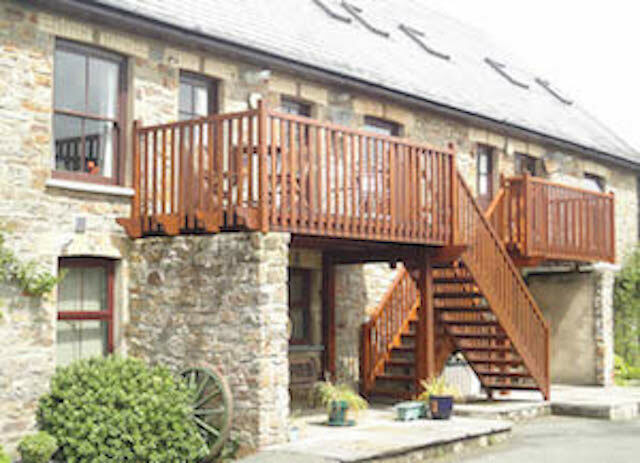 Enjoying a great location literally a stones throw from the sea, this comfortable two storey Coach house apartment in the heart of Broad Haven makes an excellent holiday destination in Pembrokeshire. Kitchen: Equipped to a very good standard includes oven, hob, extractor fan, microwave, fridge and washing machine. There is a comprehensive range of kitchen equipment. Dining area: The dining area has a table that will seat up to 6 people. (Highchair available). Lounge: Is comfortable with 2 sofas, a tub chair and TV/DVD. There is also an ipod docking station. 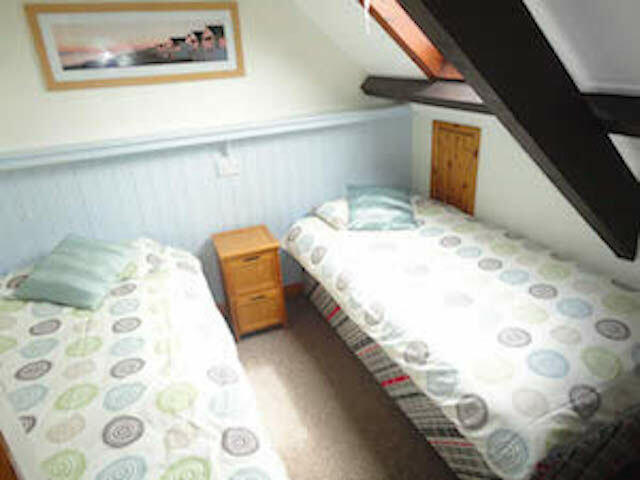 Bedrooms: Bedroom 1:1 x double bed, bedroom 2: twin beds and bedroom 3: 1 x double bed. (Travel cot provided but please bring own cot bedding). 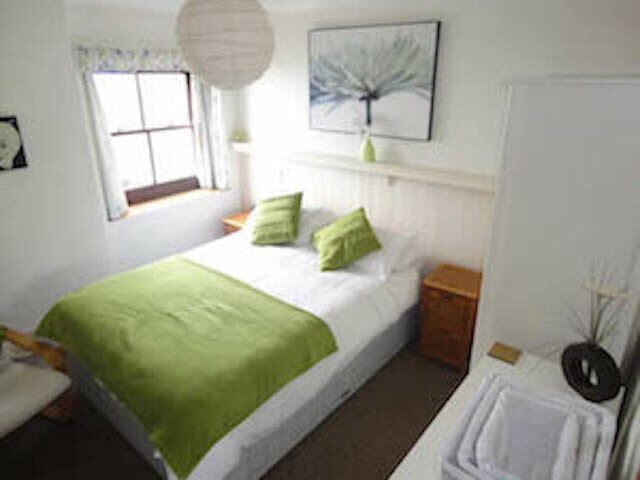 Bed Linen: All bed linen is provided and towels can be hired at £3.50 per set of 1 x bath adn 1 x hand. 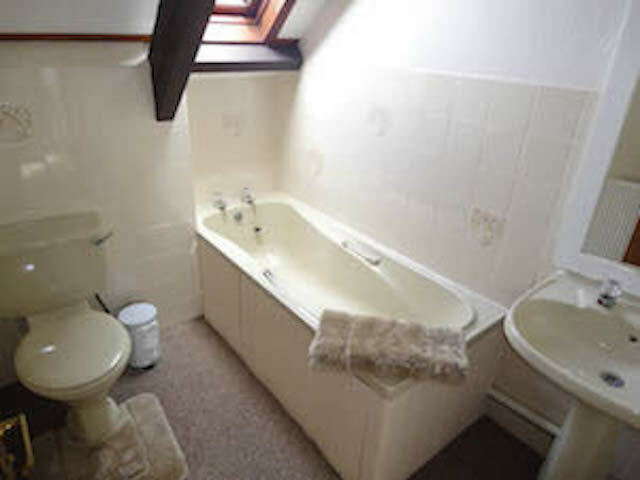 En-suite: There is a shower cubicle, wc and sink with a mirror and shaving point. Bathroom: There is a bath, wc and sink with a mirror and shaving point. Outside there is a balcony along with parking for 2 cars. We had a lovely few days and will definitely be returning in the summer, the location was perfect with less than a minutes walk to the beach and a Londis shop seconds away. The coach house was clean, spacious and very welcoming. We travelled with our 7 year old and 10 month old and it was like home from home, with a travel cot and high chair provided for us. Thank you so much and we looking forward to booking with you again. Thank You Karen @ Stay in The Havens for yet another lovely relaxing break at 6 The Coach House, we all love this place, it’s like home from home but this year we had our youngest granddaughter of 13 months with us and everything we needed was available in the residence, high chair, cot, safety gate, even a tots trainer potty in the upstairs bathroom, and by-the-way we loved the remodelled downstairs en-suite, I honestly think it would be almost impossible to find a better outfitted holiday residence, there is everything you need for a perfect relaxing holiday. See you again in 2019. We had another great stay in Broadhaven. Coach House 6 was a great apartment and superb location. I'm sure we'll be back next year. Just deciding on whether it'll be for one week or two as always run out of time when we're there. Well equipped apartment in a perfect location! We had a lovely long weekend thank you, our second visit this year and we hope to come back again very soon! We had a great time thank you, the apartment was lovely and the location perfect! Our stay at the Coach House in Broad Haven was lovely. Wonderful how dog-friendly the area is. We shall definitely be back to Haven in the future. 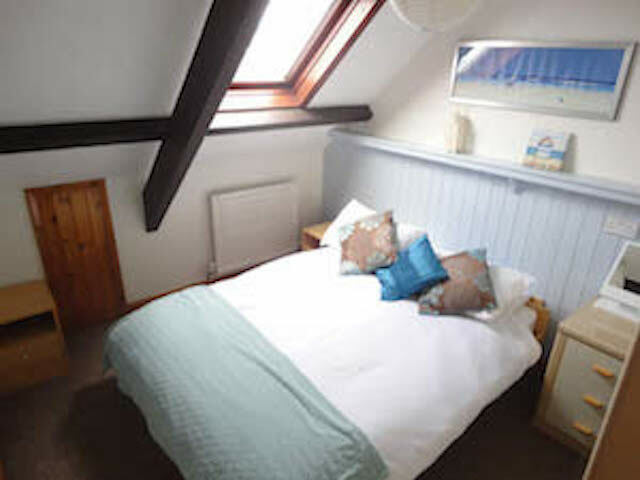 Broad Haven is a great place to stay and Stay in the Havens always provide very nice accommodation. Lovely place and nice to be so close to the beach. Thanks very much for letting us stay. 6 Coach House Lovely apartment, good use of space. Liked balcony furniture. Not our first visit and loved it each time. Beach so close and lovely, great fun with kite. Just a quick line to thank you for another great holiday at “The Coach House” Broad Haven, as usual everything was spot on and you even arranged the sun for us again, even when the rest of the UK were shivering in the rain, even the sea mist that rolled in towards the end of the week brought a bonus with it in the shape of three mast tall ship that took anchorage in the bay all in all a great holiday in a beautiful part of Wales. “See you all again soon”. Really lovely apartment, superb location. Weather was king to us. Will be back. Excellent apartment, we had a great time! Thanks for the welcome pack! Weather was great so managed a New Years day surf. Suggested walks were fun too. Note that a couple of the dining chairs were broken. No injuries but need to be taken out of the cottage. Happy 2013. NB from Karen - The dining table and chairs has now been replaced. We had a wonderful time. My dad and daughter loved flying kites on the beach and there was lots to do in the area. Pembroke Castle, Shire horses - brilliant. Loved the cottage - cosy and warm after a blustery time on the shore. Lovely accommodation had everything that you would expect and more. Location is fantastic, beach is excellent and loved the walk to Little Haven. Weather was not fantastic but had a few good days and it was still fun on the beach. Visited Heatherton and went on the Treetops experience which was well worth the drive.